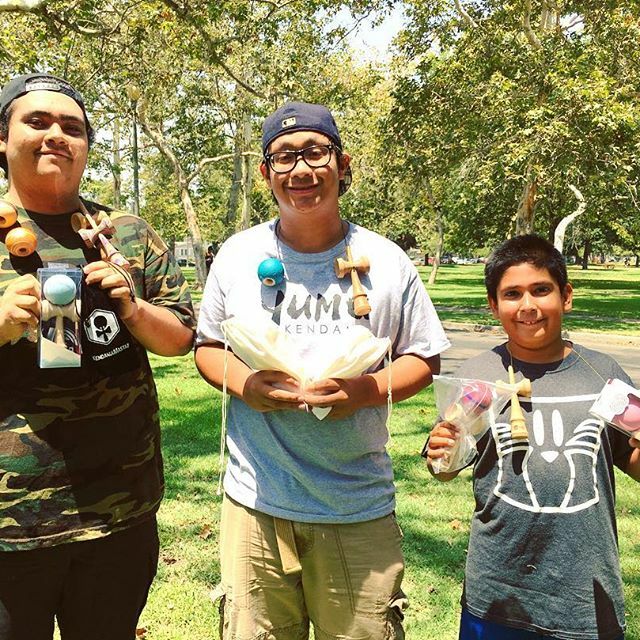 It’s been almost 3 years since Josh Kim picked up his first Kendama. 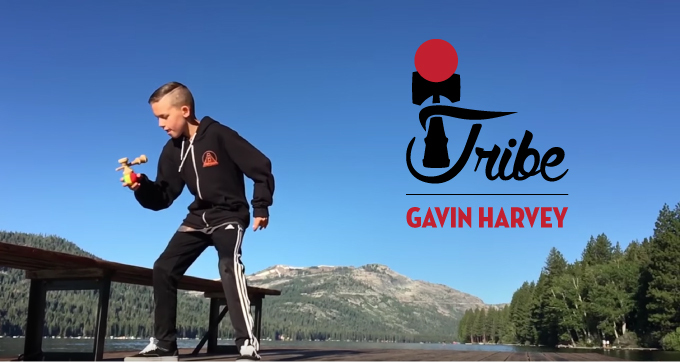 Since then, Josh’s passion & determination to lace Kendama tricks has fast-tracked his skill progression and he is now on Kendama USA’s Tribe Team! Josh’s play style is fast & technical, so try not to blink when watching this edit. With trick combinations including but not limited to boarders balances, 123 variations, & even tightropes, Josh’s gravity-defying lines will definitely blow your mind. Back when I used to yo-yo around 2013, I would always learn tricks from yoyoexpert.com. 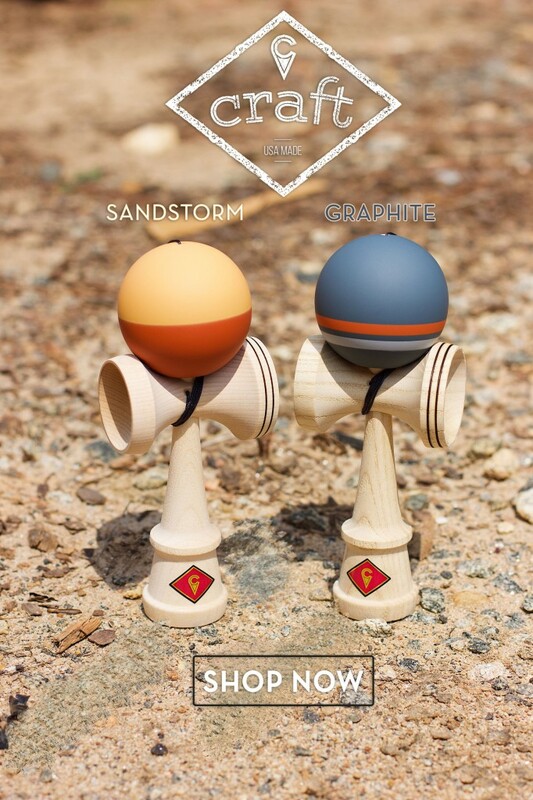 I saw they were selling Kendamas, so I watched my first Kendama video on the site, which was the Kendama USA 2012 Japan Tour. Still one of my favorite videos to this day. However, I did not get a Kendama until 2015 where just kept it on my desk, and did not start playing until February of 2016. 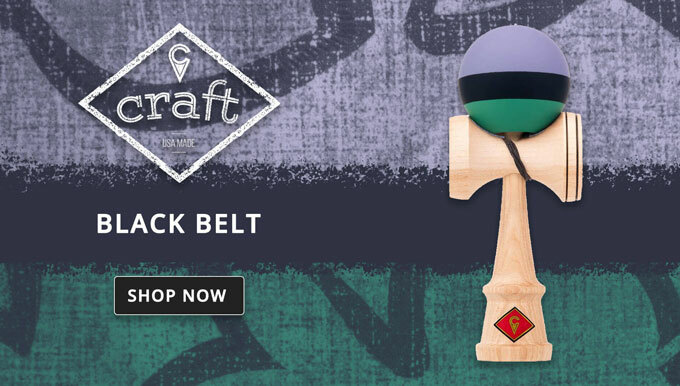 My first Kendama USA dama was a black silk Kaizen Kendama. My current favorite setup is a Watermelon Slim X Dwesty Ken; throws absolute face melters. A year later Josh met Wyatt at the 2017 Grand Central Station Jam, where he won a Spike-Off and almost bested Wyatt in a game of Ken. 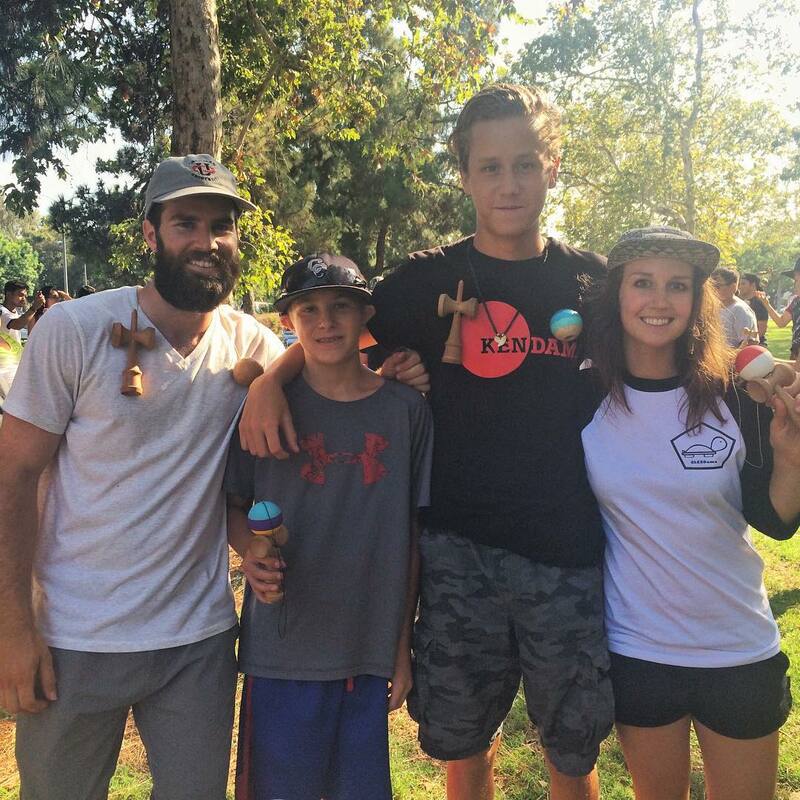 Wyatt saw potential in Josh and sent him a few kendamas after the jam. Since then Josh has helped host a number of events and plans on continuing to throw jams and events in the NYC area. 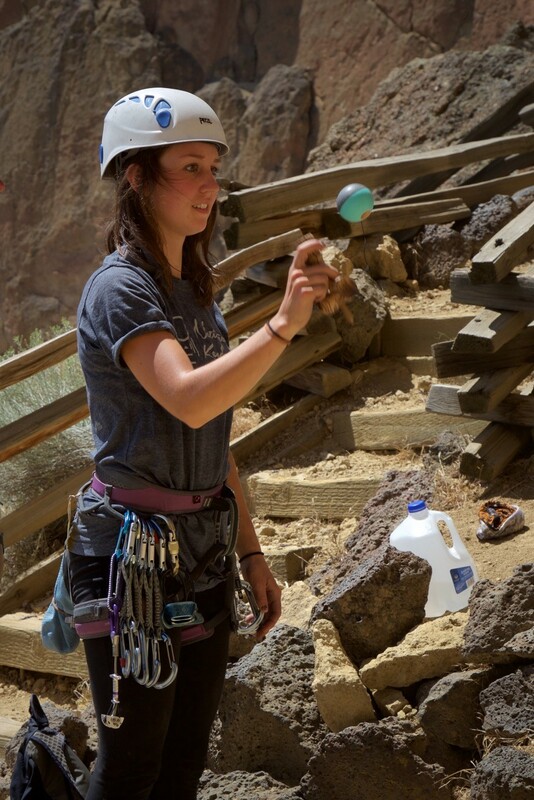 Kendama for me is just an amazing sport that I love. 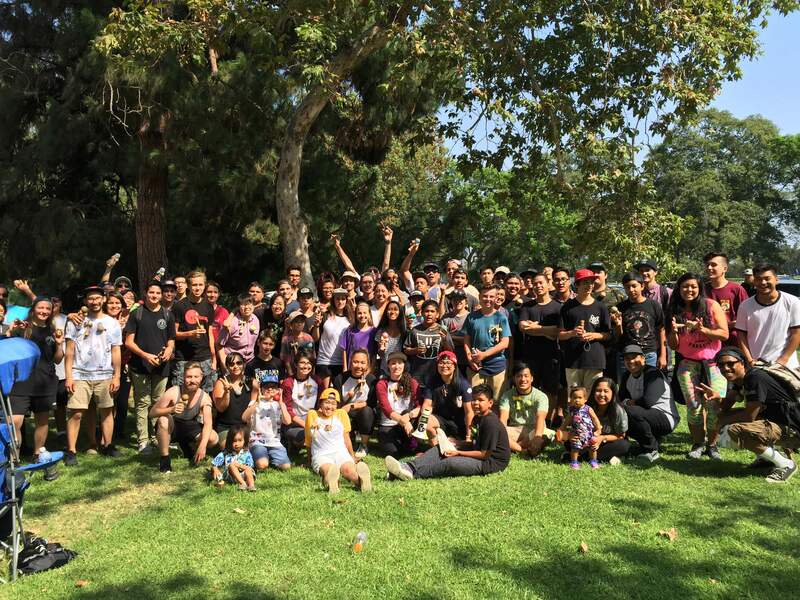 To be able to receive so much support from the community is phenomenal. Thank you to everyone who has supported me in the past, and special shout out to my day 1′s; my parents. Without them supporting me everyday I play, I never would be where am I today. 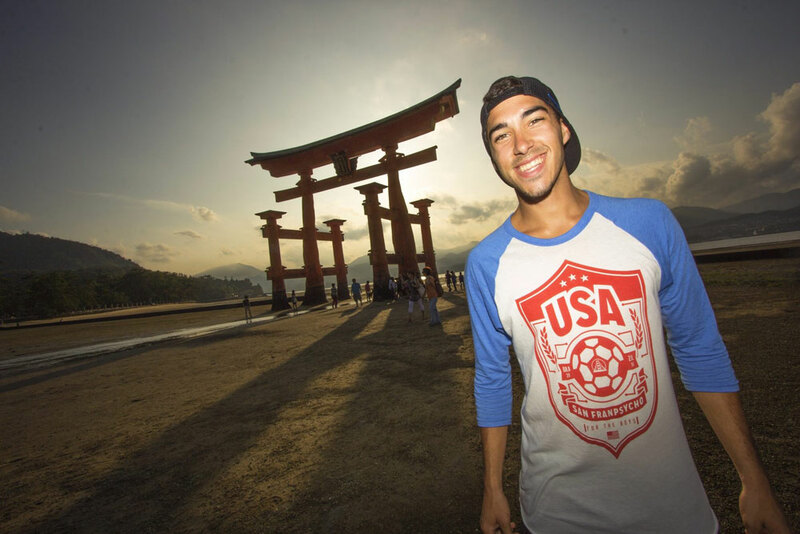 So grateful to be blessed with this amazing opportunity to play for Kendama USA. Can’t wait for what happens next! Welcome to the team! 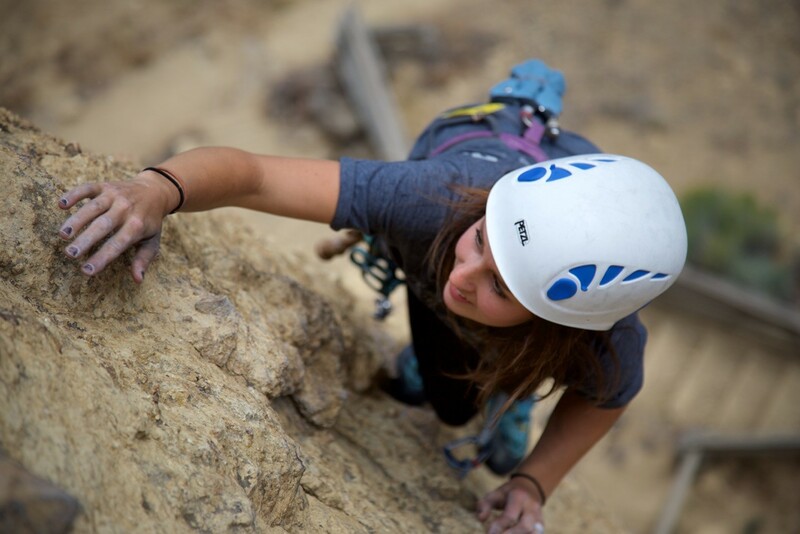 Keep shredding. 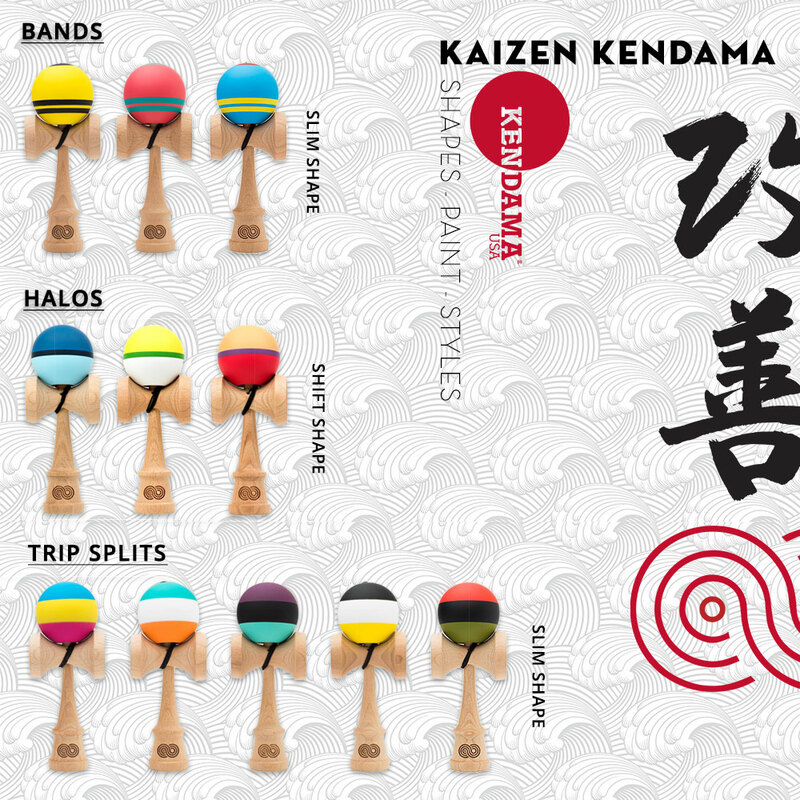 Ozora Kendama of Japan has developed a new shape that features larger cups and a semi 70/30 fade for easy hole tracking. 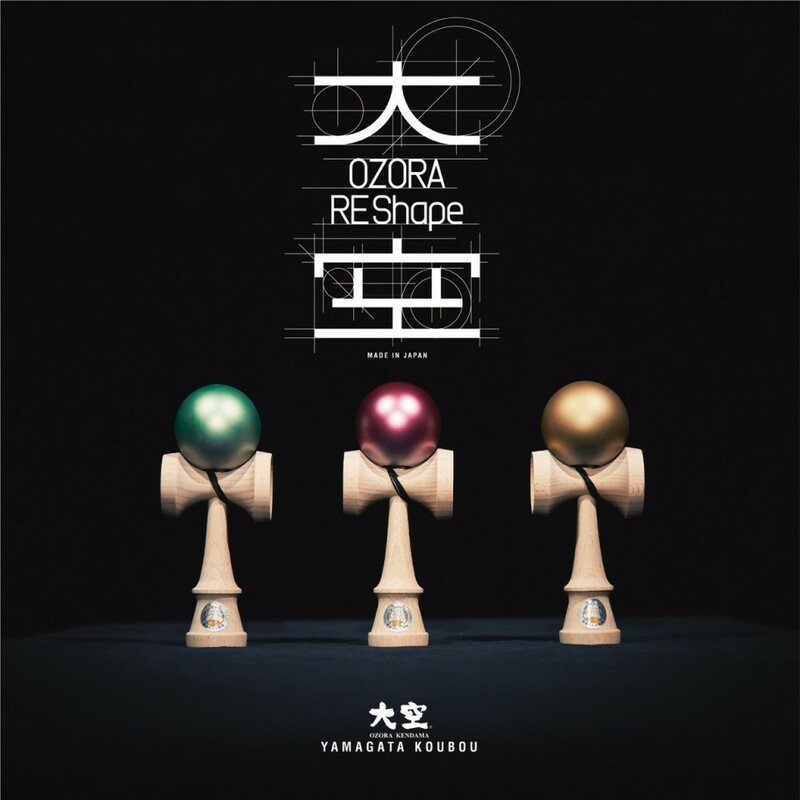 Formally named “Odori REshape” this is the newest shape from Ozora in ten years and is the brain child of Japanese Craftman, Ryoichi Suzuki. The REShape has three meanings;”3R”, RENEW · · · Newly born design RELIABLE · · · Reliable specs and quality REACH · · · reach new possibilities. 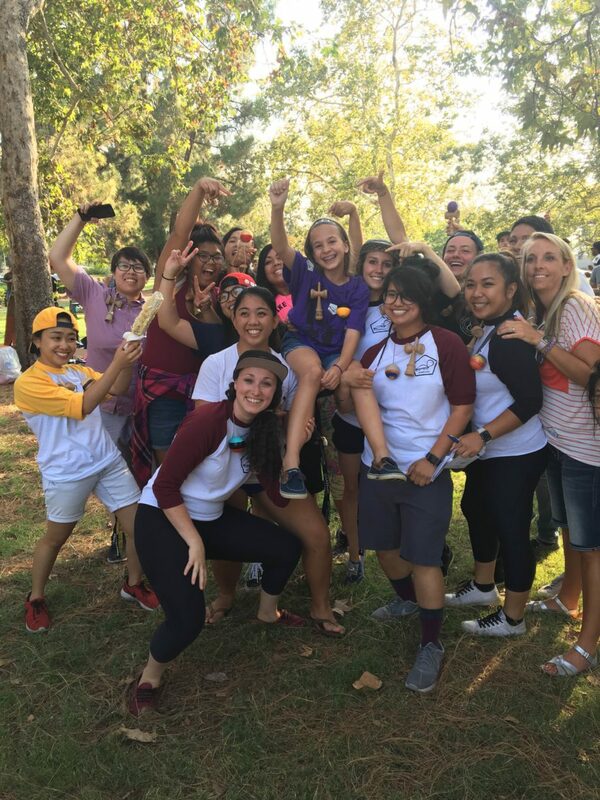 Dama Dice gives slayers a new way to enjoy games of KEN. 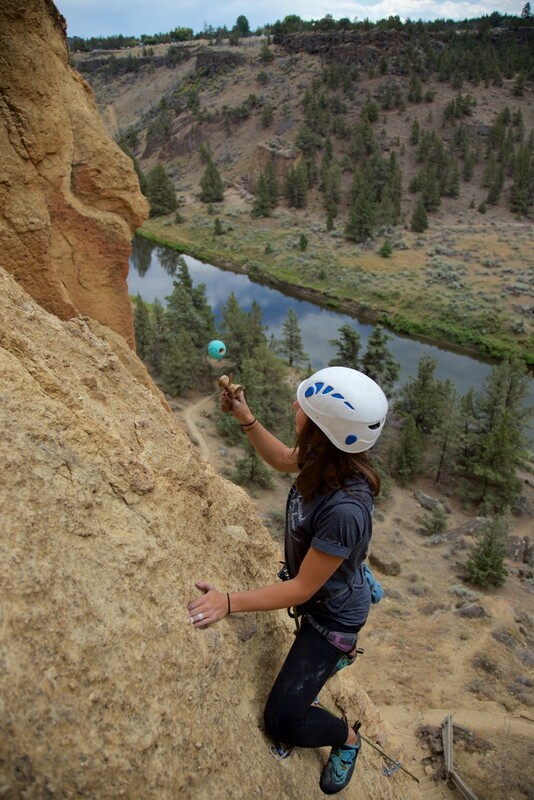 The Dama Dice app, available on iOS, gives you a random Kendama trick in Easy, Medium, and Hard difficulty modes. 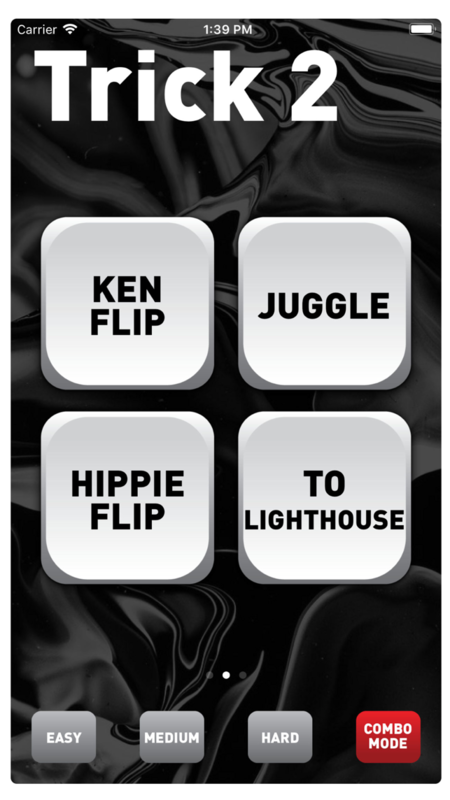 It also helps you learn about new Kendama tricks with the integrated Kendama Tricktionary. 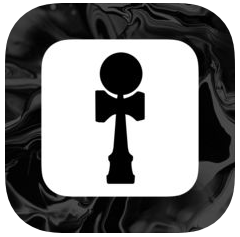 Just tap on one of the dice, and you can read about how it’s done or view tutorial videos from the best Kendama pros in the community. 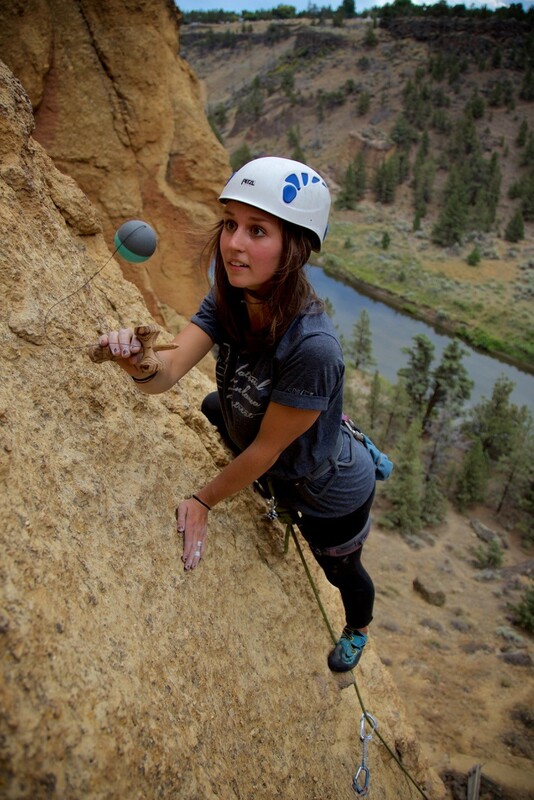 “I created Dama Dice because it’s fun to shake things up every now and then. I got started building these apps for snowboarding and skateboarding. My friends and I were always daring each other to try new tricks, so it’s really a product I built to have more fun with them. Dama Dice is great for games of K.E.N. when you don’t know what trick to try. The app works through a process known as “procedural generation.” That’s fancy computer science talk for lots and lots of random numbers. If the number is “1″, the app gives you a different trick than you’d get if it’s “2″ and so on. Dama Dice has over a hundred random trick components that it draws from. 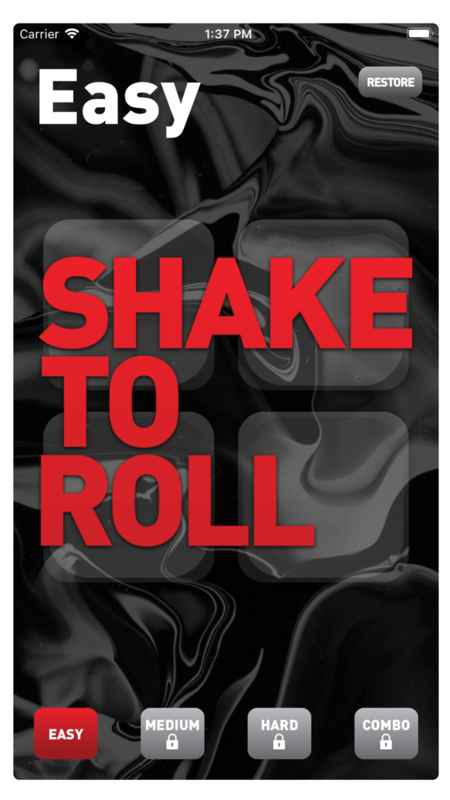 It puts those components together to make new and interesting combinations of tricks every time you shake your phone. Dama Dice also has a Combo Mode that combines tricks together in lines of three. 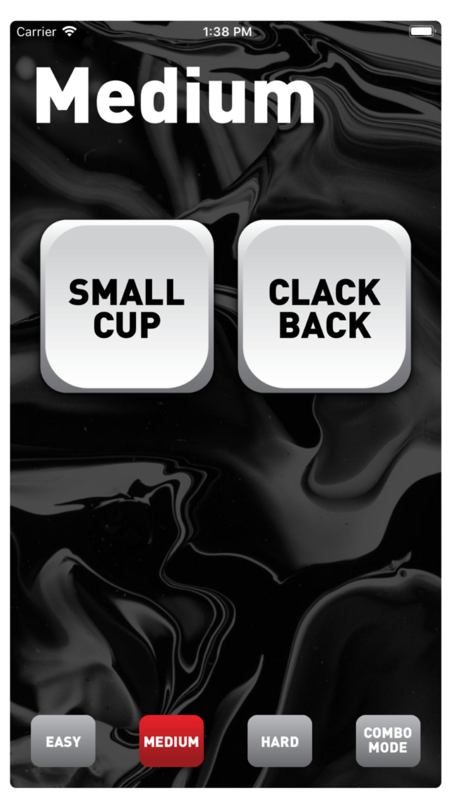 It uses the ending grip from the previous trick to figure out which trick to flow into. 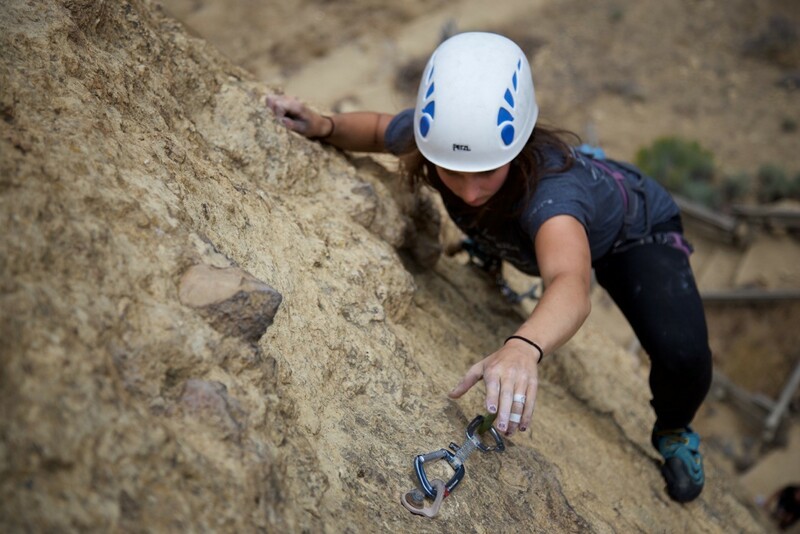 Combos are natural and fun to try. The app will keep surprising you with the combos it creates. It’s sort of unreal and nothing like the kinds of combos you can think up yourself. 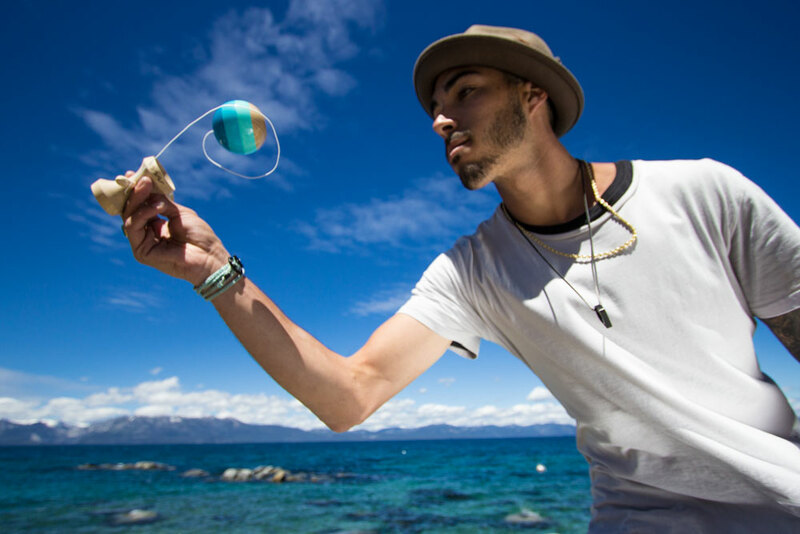 We are excited and honored to announce Tj Kolesnik as the newest 2016 Kendama USA Pro! 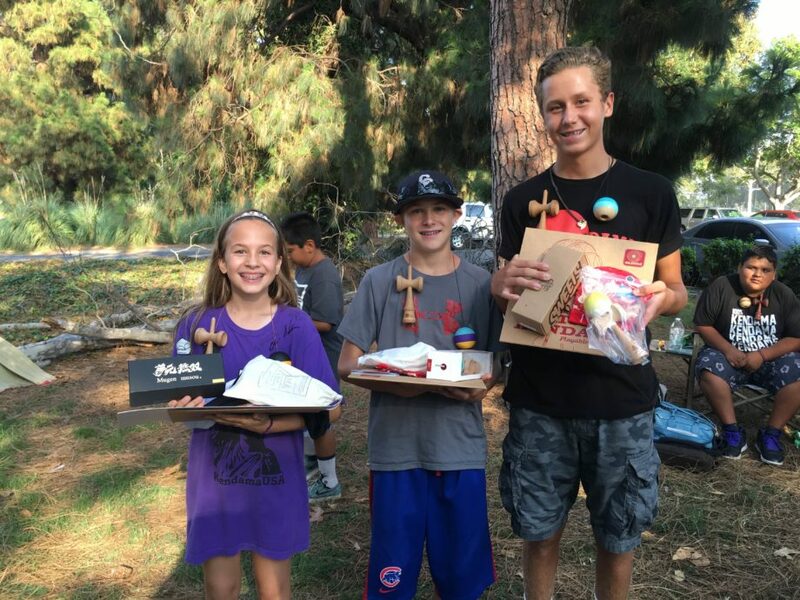 Tj is an embodiment of dedication to Kendama. 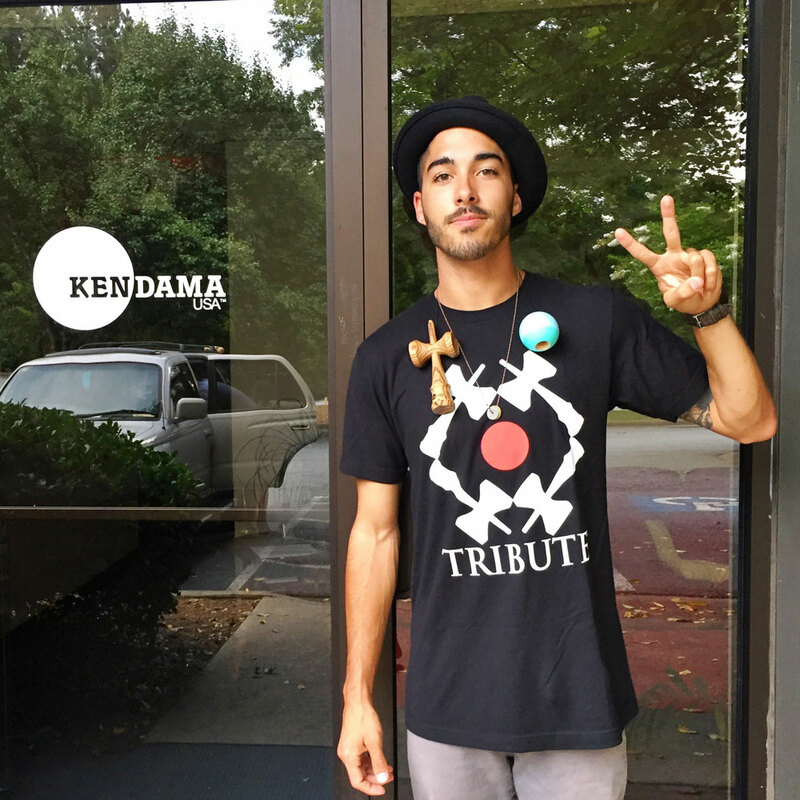 His passion and work ethic can be seen in his progression from a player to a pillar in the Kendama community. 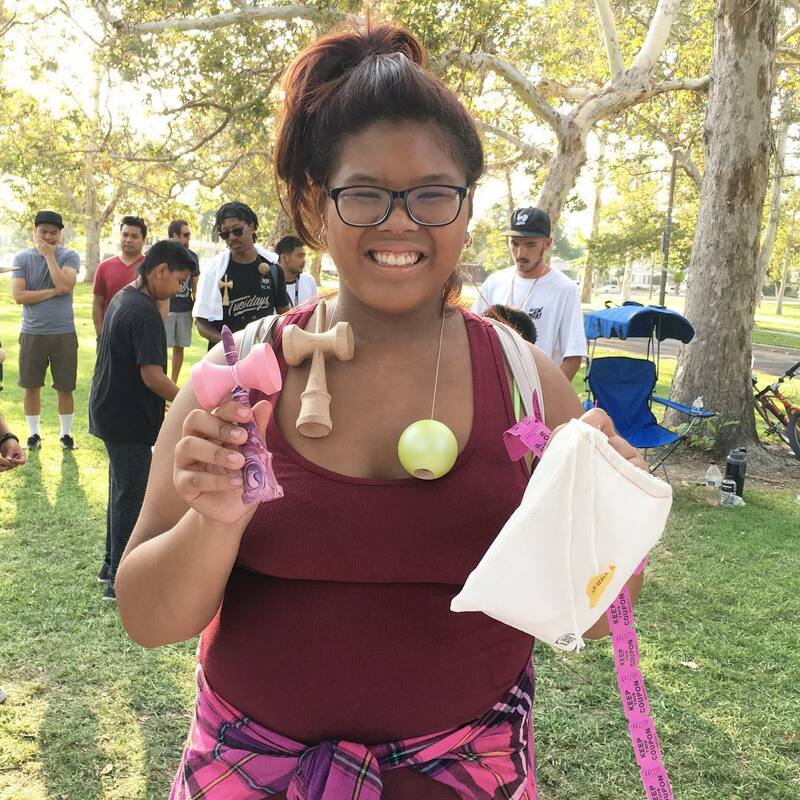 TJ has been part of the Kendama community for several years. 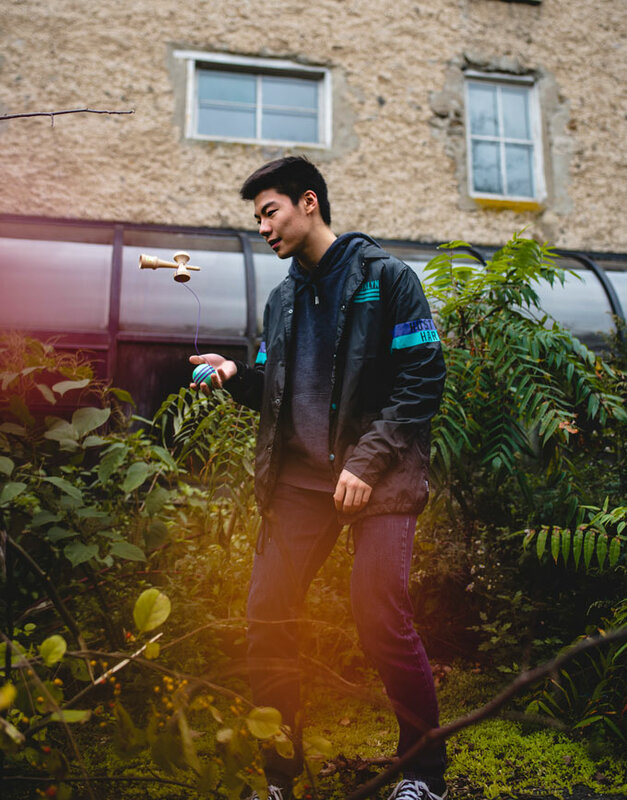 He began his Kendama journey back in 2010 while he was in his junior year of high school. 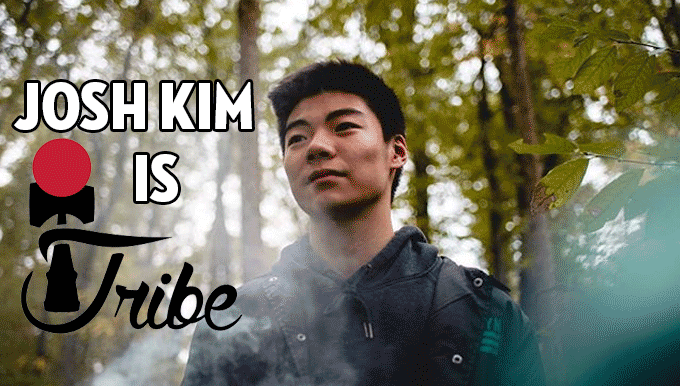 For years, he has continued to hone not only his Kendama play and steeze but his skills in videography. 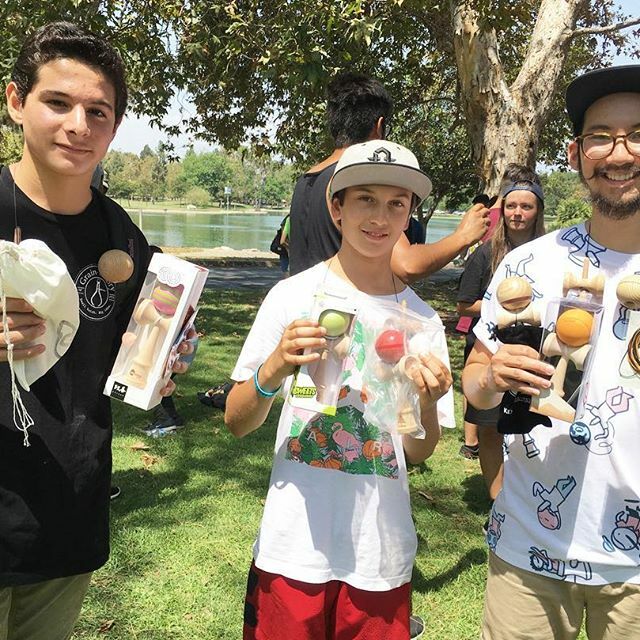 He’s helped us share great moments and memories with the community and continues to host Kendama events around the globe. Tj is currently a student at San Diego City College where he is dual majoring in Graphic Design & Communications. He still finds time to jam, capture amazing moments and work with kids. 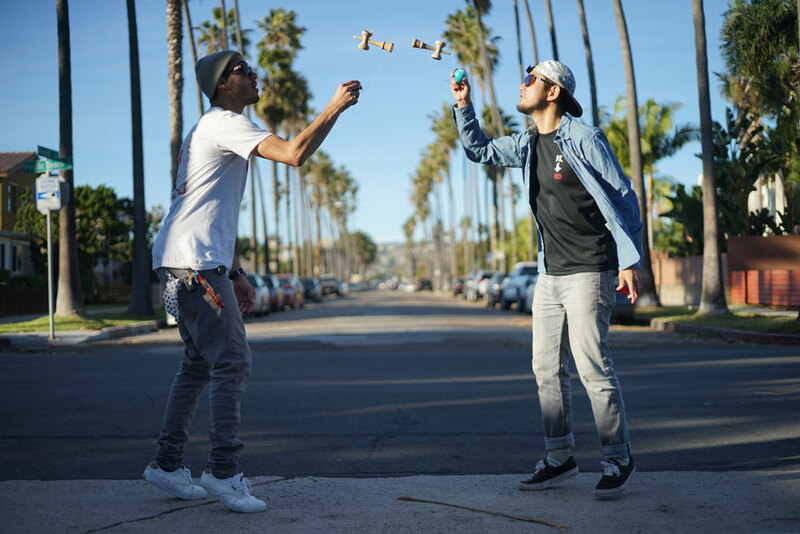 It’s no secret why Tj is such an inspirational and motivational figure to countless Kendama players around the world. Join us in celebrating and check out his journey in the video below.